Mint condition. 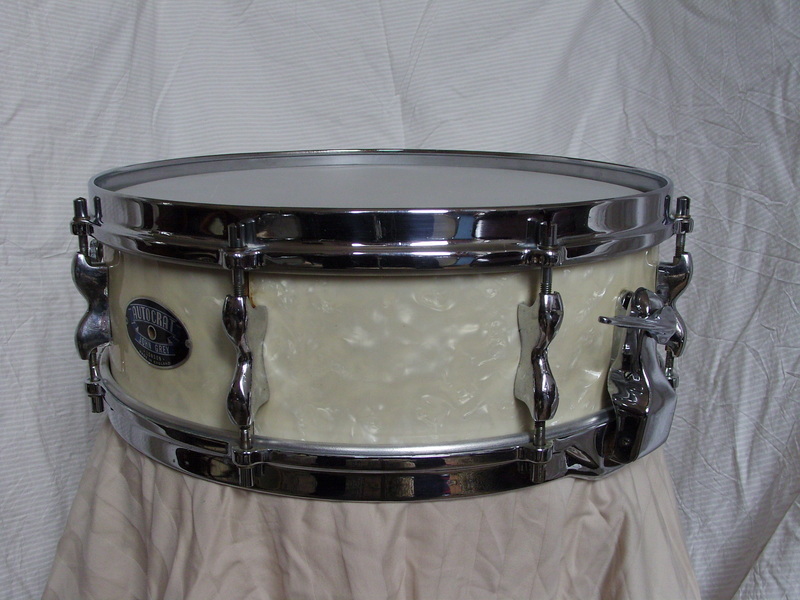 This drum originally had earlier hoops but correct ones were on the shelf and immediately fitted. UK Marine pearl is softer, more watery than the usual and I for one, prefer it, especially in mellowed ivory form.